*astTECS, a leading provider of Enterprise Telecom Technology Products and Asterisk based Open Source Communication Solution, is expanding its Africa footprint with a presence in Ghana and Botswana and plans to further extend its reach to countries like Rwanda, Kenya, Mozambique, Zimbabwe and South Africa. This initiative is aimed at strengthening the company’s presence in new markets that are growing rapidly and offer them a wide range of cost-effective, highly flexible and versatile communication solution along with full spectrum of support. Extensive deployment of communications infrastructure and the changing business and ICT trends offer amazing opportunities in African countries. This is mainly driven by high internet penetration, infrastructure deployments, need for video conferencing capabilities, increased no. of smart phones and cutting edge applications. Apart from this; reduced costs of hardware and software along with increased demands from organization across verticals will drive the market further. “We are focusing significantly on developing our partner eco-system for increased market penetration across the globe and as part of the global expansion program, *astTECS is strengthening its presence in recognition of the huge potential of the African market,” said Binish VJ, Head – International Business,*astTECS. Our business strategy in Africa focuses on understanding the specific needs of the customers and delivering cutting edge solutions, especially in the enterprise communications segments, he added. 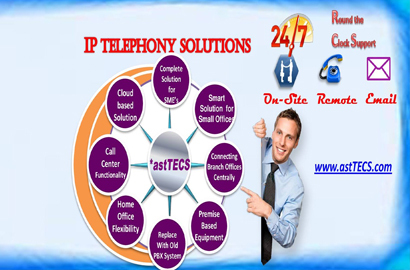 *astTECS develops solutions that utilizes the power of Open Source and IP changing the way businesses stay connected. Customers are looking at Open Source communication solutions that helps reduce business software / hardware needs and maintenance costs, resulting in more efficient operation and lower TCO yielding quick ROI. 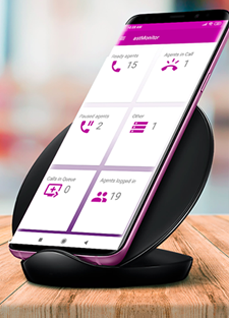 *astTECS offers the most comprehensive, integrated and compelling telecom infrastructure solution based on Asterisk platform that are feature rich, improve consistency & performance and creates a scalable, stable and resilient network that optimizes value.